Along the western side of South America runs Chile, a long narrow country that borders the Pacific Ocean. The coastline is over 4,000 miles long, but less than 70 miles wide. You can drive across the entire country of Chile in a few hours. The Andes Mountains border Chile on the east, and most of the country is made up of mountains. The country has had many terrible earthquakes over the years, including one in 2010 that ranked 8.8 in magnitude. Tsunamis often come with the earthquakes. This small country hosts a rich variety of animal life. Penguins, sea lions and pelicans live in or near the ocean. Whales migrate through the waters off of Chile on their way to feeding and breeding grounds. You’ll also find pumas, flamingos, alpacas, foxes and many other animals living in Chile. The Easter Islands, which lie 2,300 miles to the west, belong to Chile. 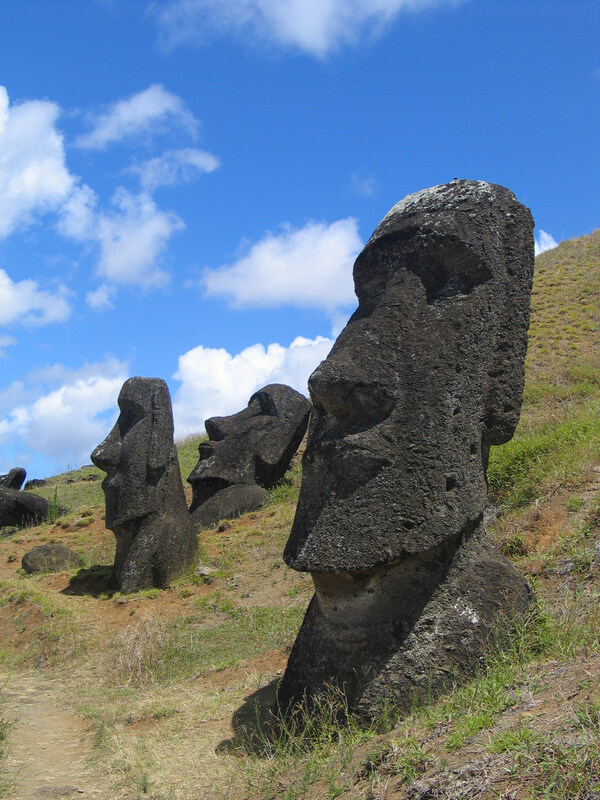 Few people live on this remote island, but tourists like to visit to see the huge human-like statues called moai. Incas and other native people lived in Chile before the Spanish came in the 1500s. The Spaniards ruled Chile until 1810. From 1810 until 1973, the country enjoyed peace. A bloody war, followed by several years of oppression, ended in 1989, when dictator, General Augusto Pinochet, was overthrown. 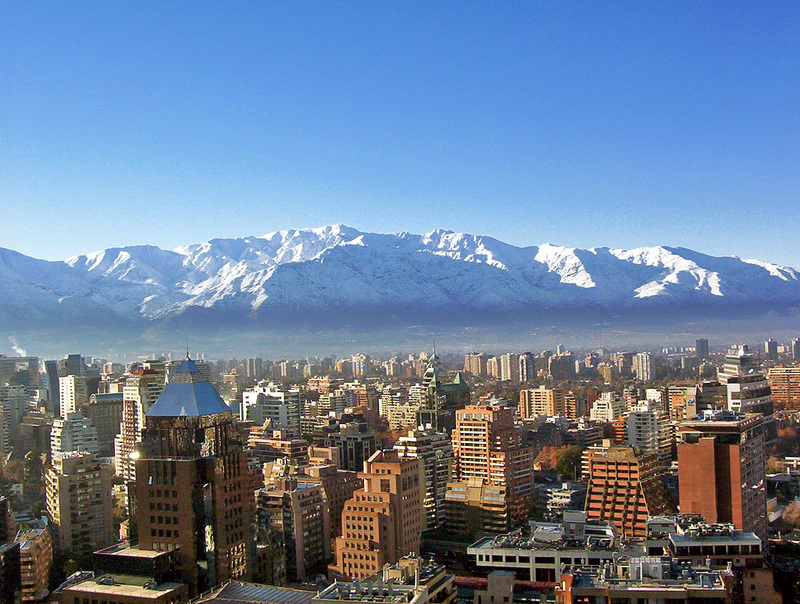 Many people in Chile live in or near the city of Santiago. Children living in rural areas have to ride the bus for as much as two hours each way to go to school. They get up very early. When they’re not doing homework or helping with chores, children in Chile like to play soccer. 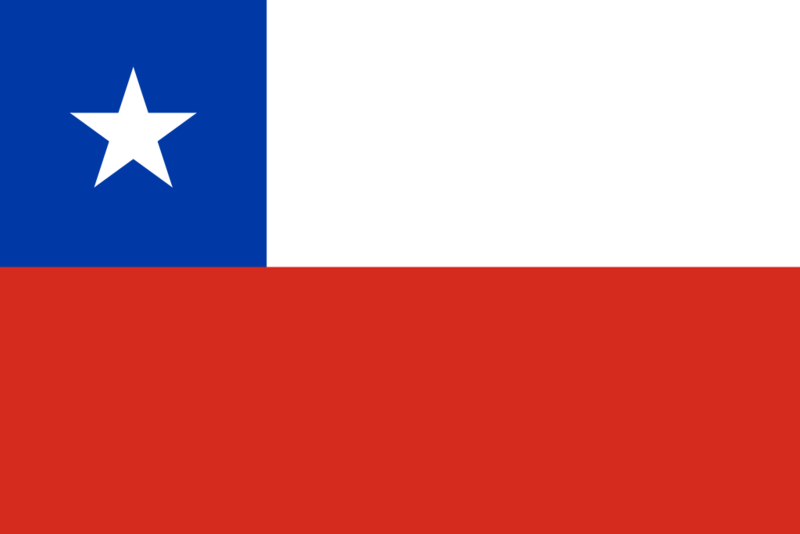 Over 16,136,000 people live in Chile. 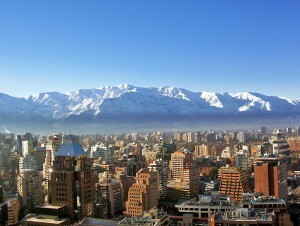 The capital of Chile is Santiago. The president of Chile is Sebastian Pinera (data 2018). 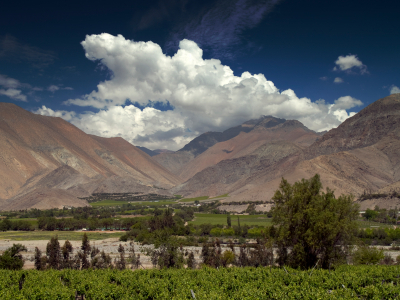 Chile has 291,930 square miles of land. At 6,891 m Ojos del Salado is the tallest mountain in Chile. It is also a volcanic mountain. The Loa River is the longest river in Chile covering a distance of 440 km. Most people are Roman Catholic or Protestant. People in Chile can expect to live 76 years. 96 percent of adults can read. A video documentary of the geography and facts about Chile. Question: Does Chile reach to the bottom of South America? Answer: Yes, at the very bottom of South America sits a narrow point of land called Cape Horn. For many years, ships traveled around Cape Horn until the Panama Canal was built. Cape Horn is a dangerous place, with fierce winds and high waters. Here’s a map of the country of Chile and all its cities and villages. Zoom in to get into street level or zoom out to see other countries around Chile! You can see the terrain, but also see the roads, images of the buildings and even take a 3D tour through the streets of the cities of Chile, as though you are actually there! Enjoyed the Easy Geography for Kids all about Chile info? Take the FREE & fun quiz all about Chile and download FREE all about Chile worksheet for kids. For lengthy info click here. Declan, Tobin. " Chile Facts for Kids ." Easy Science for Kids, Apr 2019. Web. 21 Apr 2019. < https://easyscienceforkids.com/all-about-chile/ >.